GreenSTAR Pro is the leader service and premier source for Residential & Commercial Mold Remediation and Water Damage from Highland Park, Lincolnshire, Northbrook, Lake Forest, Palatine, Burr Ridge, Vernon Hills, Glenview, Libertyville, Evanston, Des Plaines, Lake Zurich, Skokie, Chicago, Inverness, Schaumburg and Long Grove to Downers Grove, for your peace of mind. 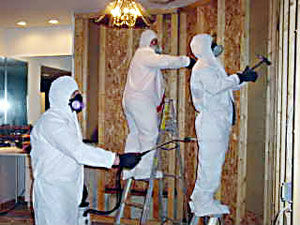 Mold remediation generally requires more than simple clean-up. 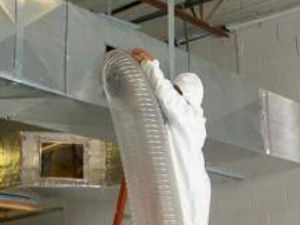 The goal is also to prevent the mold from recurring. This involves fixing the water problem, drying the excess moisture, cleaning the area, and removing the mold. What is the Best Solution for Mold Removal in Crystal Lake, IL? BE CAREFUL! The type and severity of health effects that mold can produce are usually difficult to predict. The risks can vary greatly from one location to another and from person to person. Children living in damp or water-damaged homes are more susceptible to a variety of diagnosable respiratory illnesses such as asthma, wheezing, cough, phlegm, etc. If there is mold growth in your home, you must clean up the mold and fix the water problem. When water leaks or spills occur indoors - ACT QUICKLY and Call US. If wet or damp materials or areas are dried 24-48 hours after a leak or spill happens, in most cases mold will not grow. Mold may be hidden in places such as the back side of dry wall, wallpaper, or paneling, the top side of ceiling tiles, the underside of carpets and pads, etc. 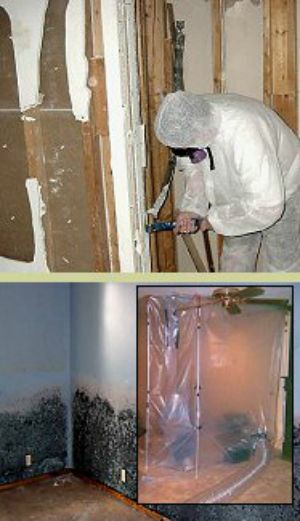 The most costly mold related repairs are caused by mold that no one knew was there! If you suspect you have a mold problem, don't wait until you can visually see it. If you smell musty odors or become aware that your property has experienced a flood or plumbing leak in the past, it is a good idea to have a professional mold inspection performed. Dry Basement Adds value to your Home! Molds are microscopic organisms that live on plant or animal matter. They aid in the break down of dead material and recycle nutrients in the environment. Present virtually everywhere, they can be found growing on organic material such as soil, foods, and plant matter. In order to reproduce, molds produce spores, which spread through air, water, or by insects. These spores act like seeds and can form new mold growth if the conditions are right. Mold growth may occur in your home if there is sufficient moisture because mold spores are everywhere. Exposure to mold can cause health effects in some people. The most common effects are allergic responses from breathing mold spores. These allergic responses include hay fever or asthma and irritation of the eyes, nose, throat or lungs. We usually cannot say how much mold is too much as our reactions to allergens can vary greatly depending on individual sensitivity. Allergic responses can come from exposure to dead as well as to living mold spores. Therefore, killing mold with bleach and or other disinfectants may not prevent allergic responses. Extensive mold contamination may cause Severe Damage to the home. What are common symptoms of mold exposure? A mold problem can usually be seen or smelled. Mold growth may often appear as slightly furry, discolored, or slimy patches that increase in size as they grow. Molds also produce a musty odor that may be the first indication of a problem. The best way to find mold is to examine areas for visible signs of mold growth, water staining, or follow your nose to the source of the odor. 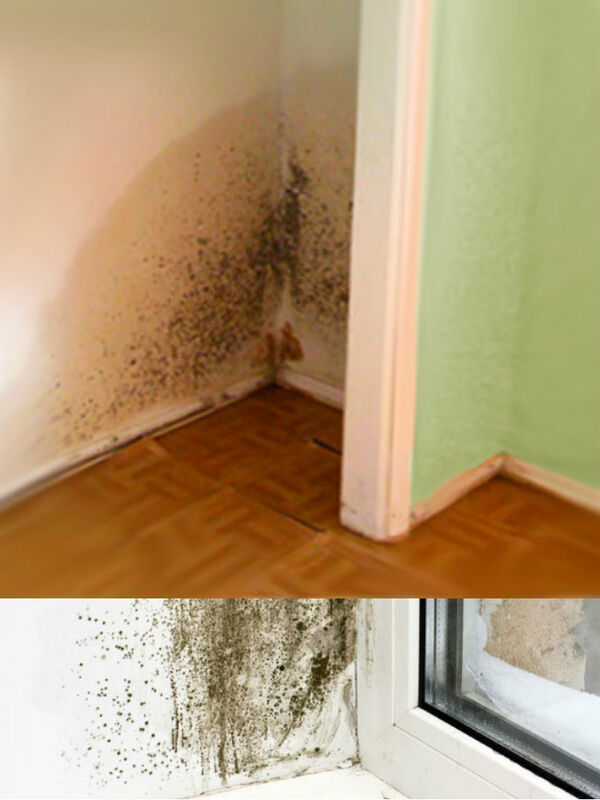 If you can see or smell mold, you can assume you have a mold problem. Other clues include excess moisture and water damage. It may be necessary to look behind and underneath surfaces, such as carpets, wallpaper, cabinets, and walls. There are some areas of the home that are always susceptible to mold growth and should be part of routine cleaning to keep them under control.